For more than a century, Cedars-Sinai has served vulnerable communities across Los Angeles. This commitment to community service is one of Cedars-Sinai's defining qualities as a leading nonprofit academic health system. Cedars-Sinai is committed to being a valued participant in the community at large. Good citizenship includes a conservation project that led to a savings of about 29 million gallons of water a year, contributing 29% to the water-use-reduction goal for the entire city of Los Angeles. 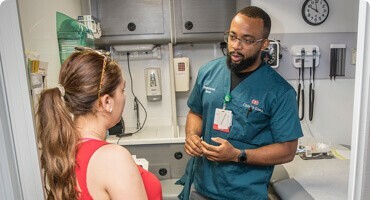 More than 500 Cedars-Sinai staff members have been trained by an expert team to recognize and report evidence that a patient may be the victim of human trafficking or forced labor and what they can do to help. After 10 weeks of following the Healthy Habits program, 81% of elementary school students' parents do physical activity together with their kids. After their children participated in Share & Care's weekly school-based art-therapy sessions, 71% of parents said they saw improvement in their child's self-esteem. Cedars-Sinai fulfills it’s vital mission to the community by investing in programs and services to improve the health status of the community. We work closely with schools, FQHC, local government, senior centers and other agencies to improve community health, better meet community needs, and to expand the capacity of other organizations to serve those who are most vulnerable, maximizing the impact of joint efforts to improve lives. Community health programs offered in local schools, senior centers and community centers to give underserved residents access to free health education, screenings and immunizations. Grantmaking engages in strategic, high-impact philanthropy that is closely aligned with the community's needs and strengthens the health safety net for Los Angeles' most vulnerable residents. Health education that prepares kids, parents and caregivers how to care for their individual health and the health of the community. 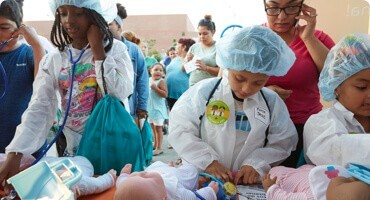 Community programs deliver vital health services to the most vulnerable in the Los Angeles area. We seek to leverage our world-class expertise in prevention, patient care and education to make the greatest impact in the community. 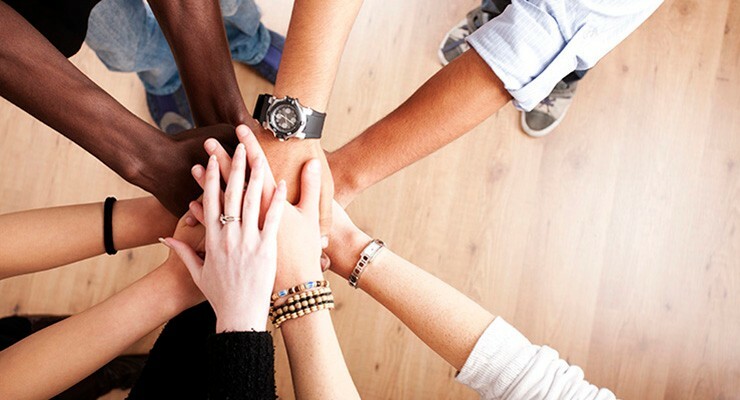 There are a wide variety of Cedars-Sinai support groups and community events that may be of interest to patients, caregivers and community members. The wide-ranging efforts from Cedars-Sinai to improve the community's health reflect a great deal of study and planning to determine how we can most effectively translate our commitment into action that will ensure a healthier future for those in greatest need. Embracing Our Community shares tangible examples of Cedars-Sinai's commitment to the diverse programs, services and events the Community team organizes and supports. Read inspiring stories about the people helped by those efforts. Cedars-Sinai joined Los Angeles Mayor Eric Garcetti in a key initiative—Summer Night Lights. Now in its 10th year, the event series is an important aspect of the Gang Reduction and Youth Development program. In its 4th year of awarding grants to Los Angeles community organizations, Cedars-Sinai donated $5.9 million to programs serving the physical and mental health needs of the city's most vulnerable populations. For more information, please send a message.